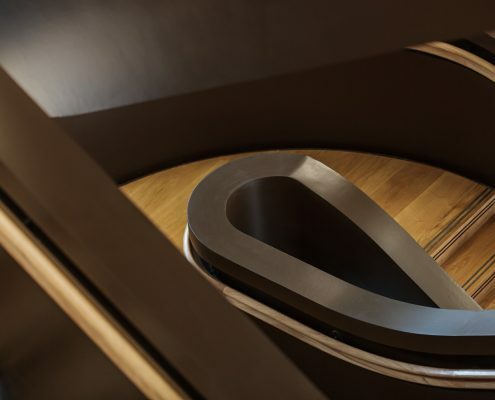 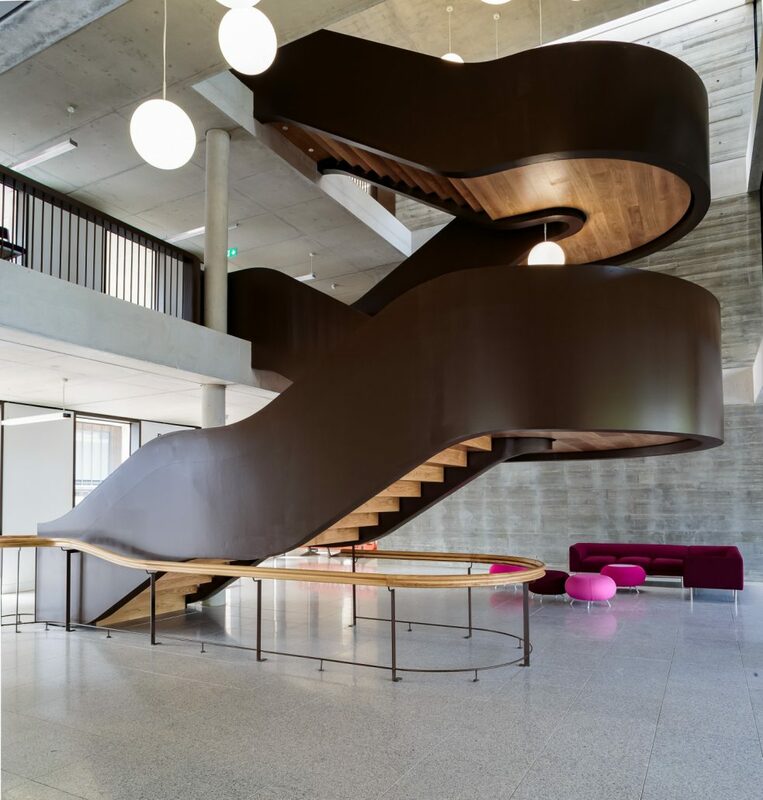 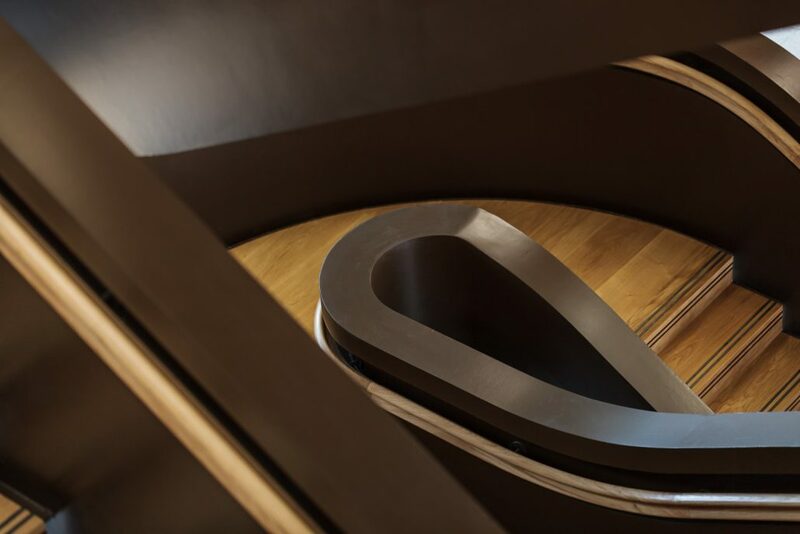 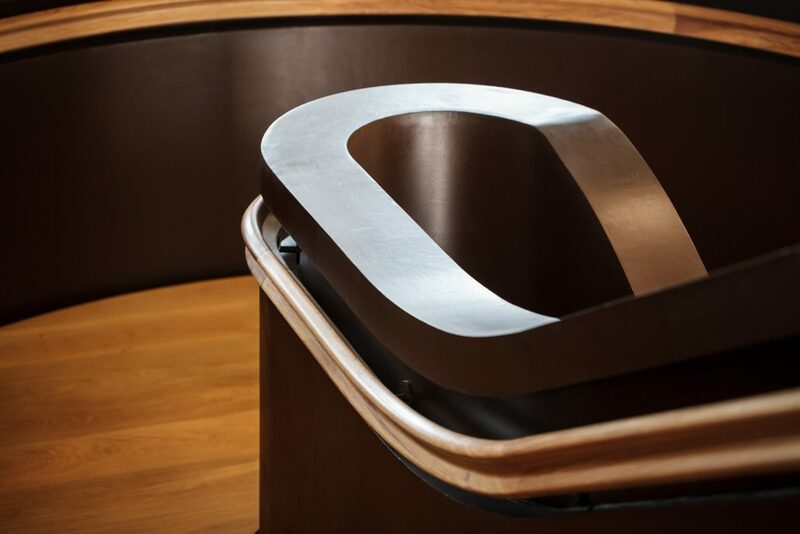 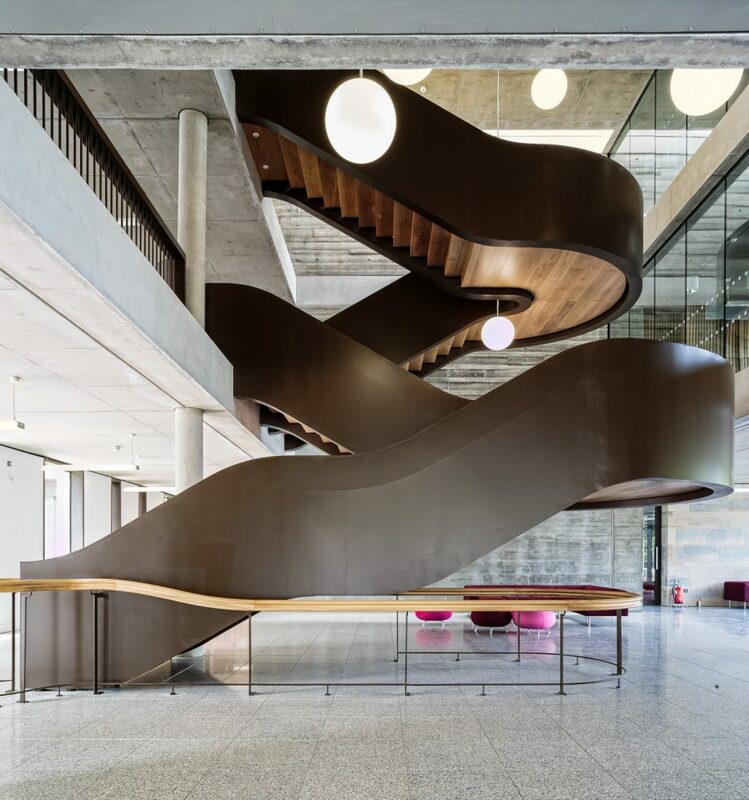 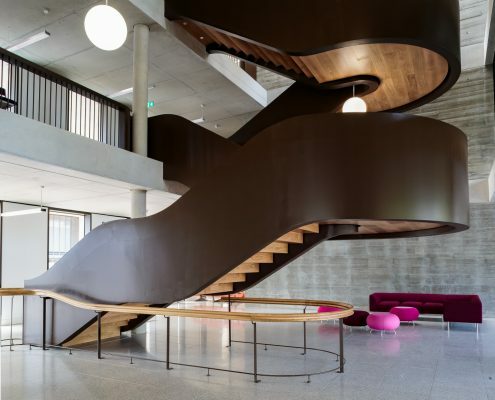 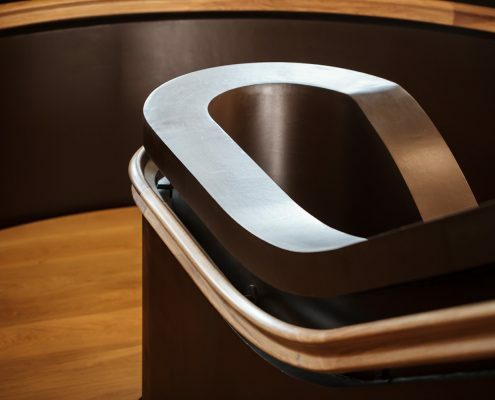 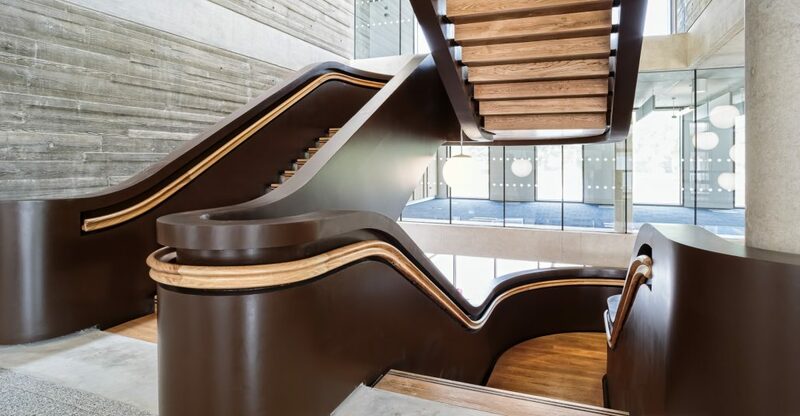 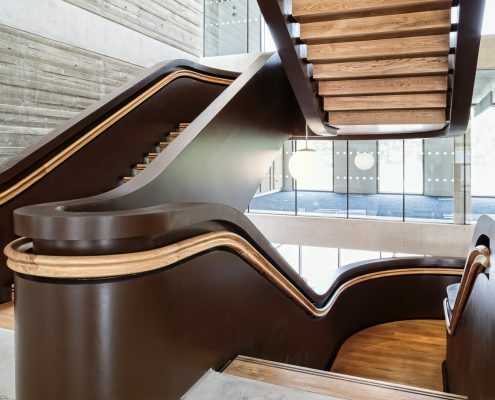 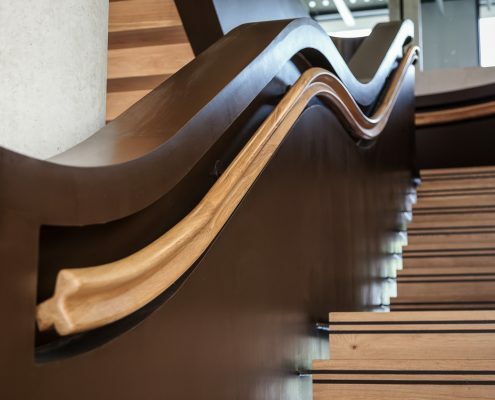 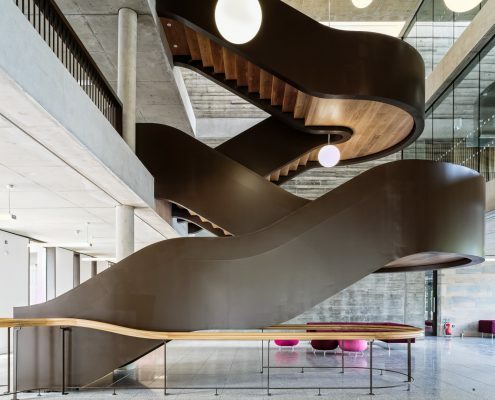 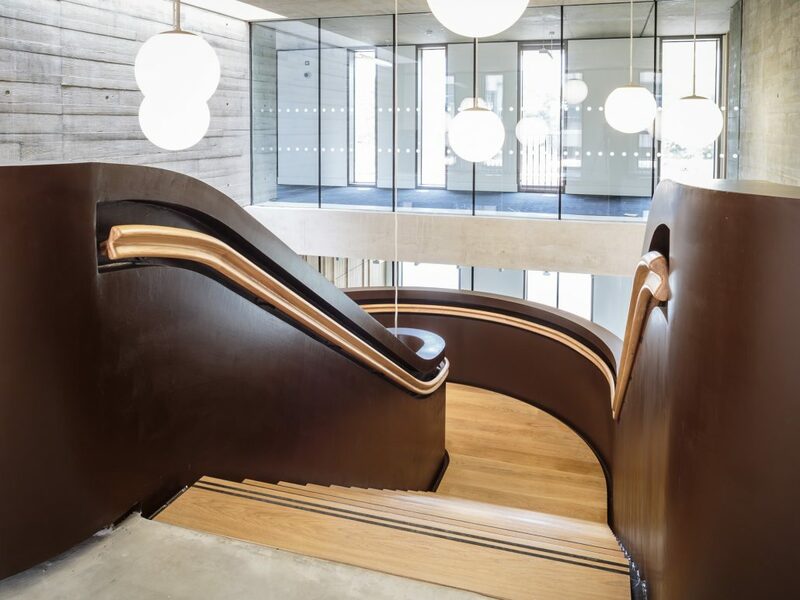 Probably the most challenging handrail profile we have ever produced – this 3 leaf clover design twisted and turned through 3 floors in this dramatic feature staircase which received accolades in the Times newspaper. 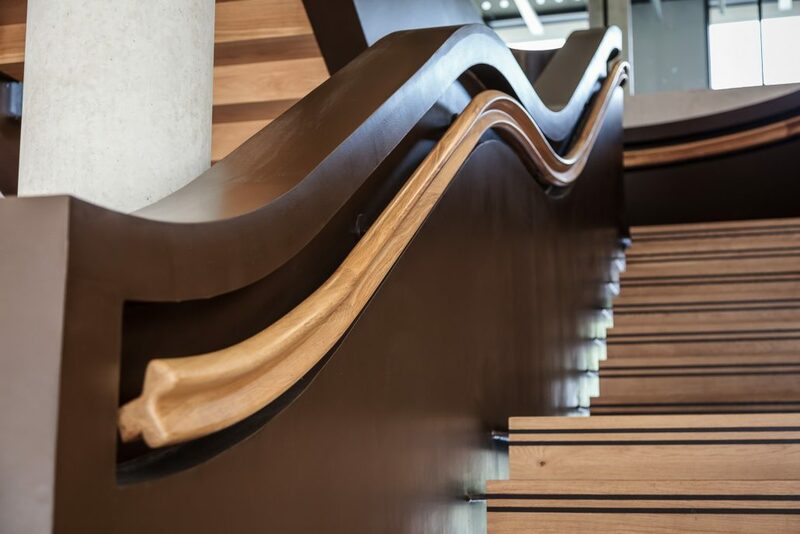 The handrail was screwed to steel flat bar brackets and creates shadows that emphasize the shape of the stair. 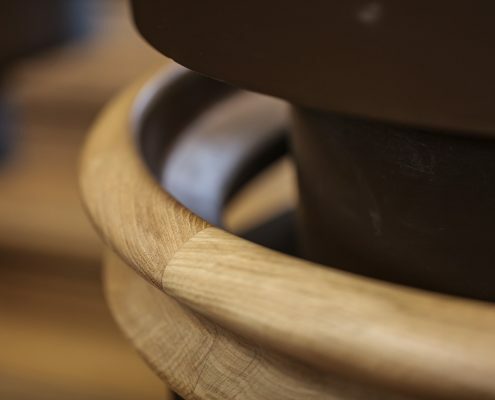 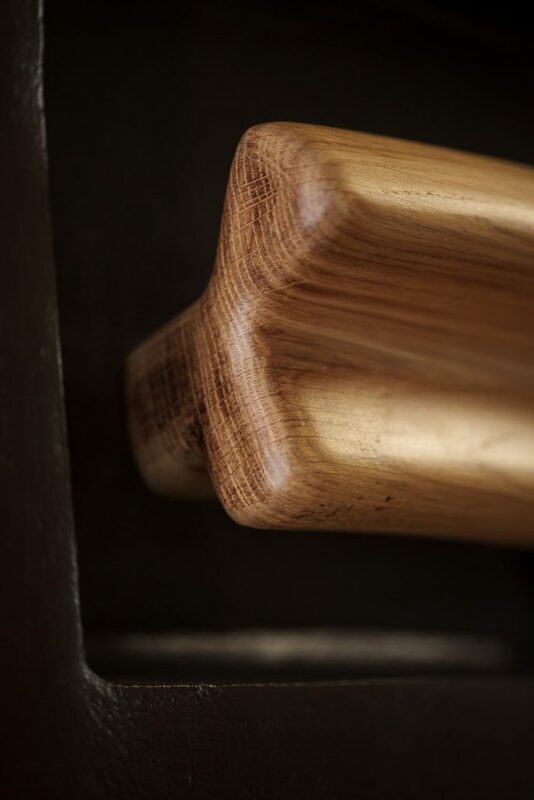 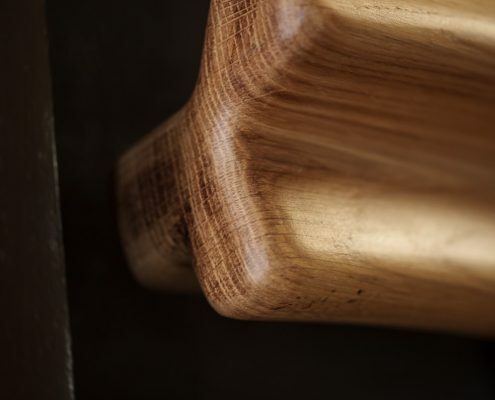 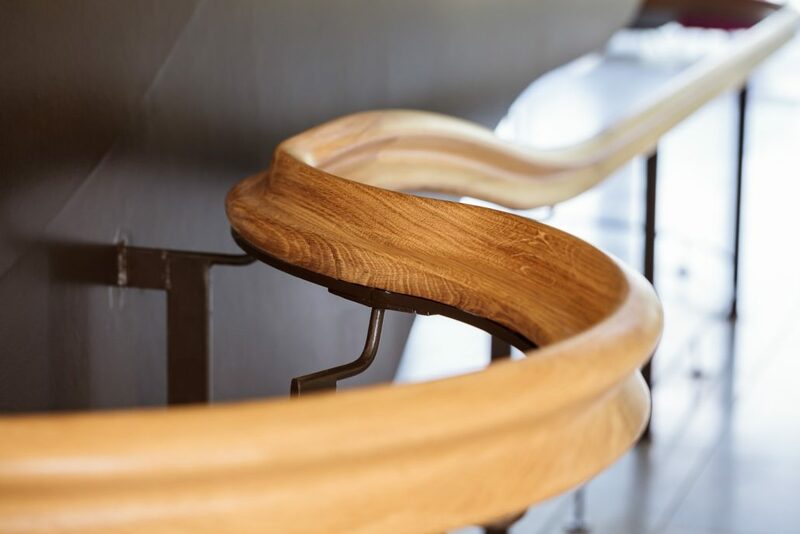 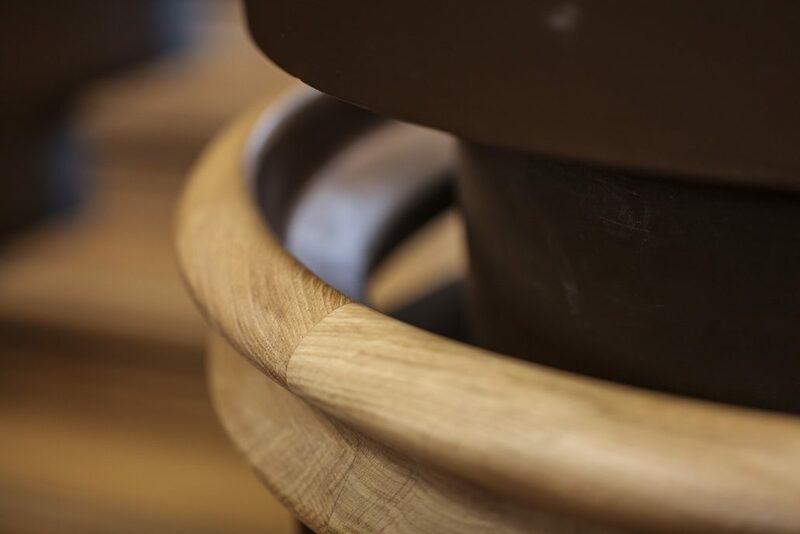 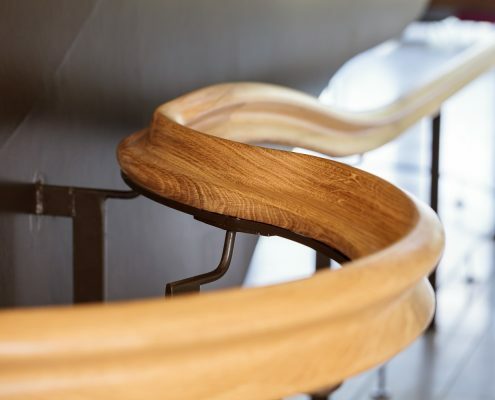 The European oak handrail was finished with a clear oil.